For a while it looked like the best thing to bring to a neighborhood was a new Whole Foods grocery store. One study showed that homes in these neighborhoods would appreciate at a much faster rate than if they were near a Trader Joe’s (and both were better than a Starbucks). Another sign a neighborhood is on the cusp of revitalization is when the yoga studios start vying for space with the arthouses. Usually, it is not long after that the expensive coffee shops and cupcake stores start showing up at street level. But now that so many states have passed laws favorable to the marijuana movement, the next big thing to bring a neighborhood back from the brink just might be the increasing number of organizations that work in the industry. Downtown Los Angeles could be the first case study to see this phenomenon in action. 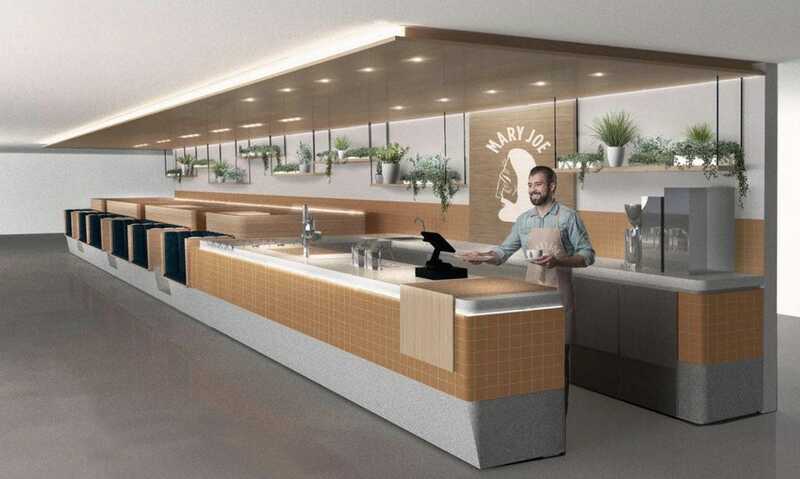 Next month, a seven-story building in the heart of Los Angeles’ Jewelry District will open up, filled with tenants who all have cannabis somewhere in their job description. 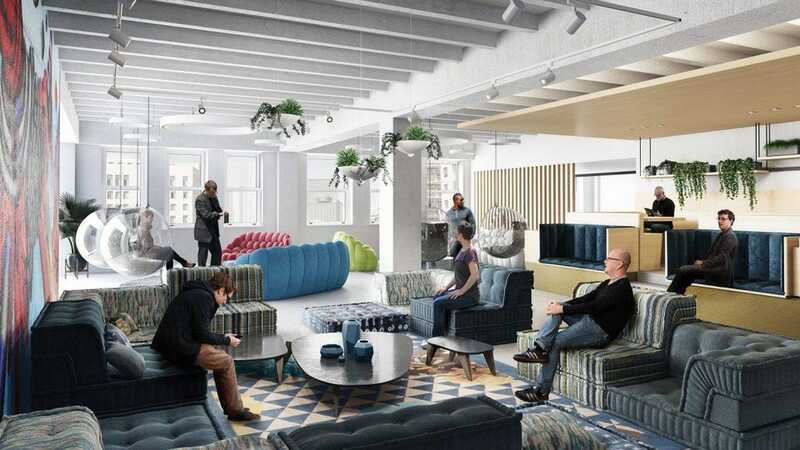 The 67,000-square-foot Green Street Building (the name is in reference to its anchor tenant, the Green St. Agency, which works solely with clients in the marijuana industry) will house everything from co-working spaces to an art gallery, dispensary, restaurant, law firm, luxury spa and lounge. Real estate investment company Bow West Capital purchased the property last year for a reported $14 million. Once open it will be the largest real estate space dedicated to cannabis in the U.S.
M-Rad took the 1913 building and completely renovated the interiors to create mixed-use spaces that cater both to the requirements of offices and restaurants as well as the unique needs of cannabis users. They needed to create the right proportion of an open-plan design matched with a set of cloistered, secluded rooms for those who want privacy. Here are some images of the interior provided exclusively to Forbes. 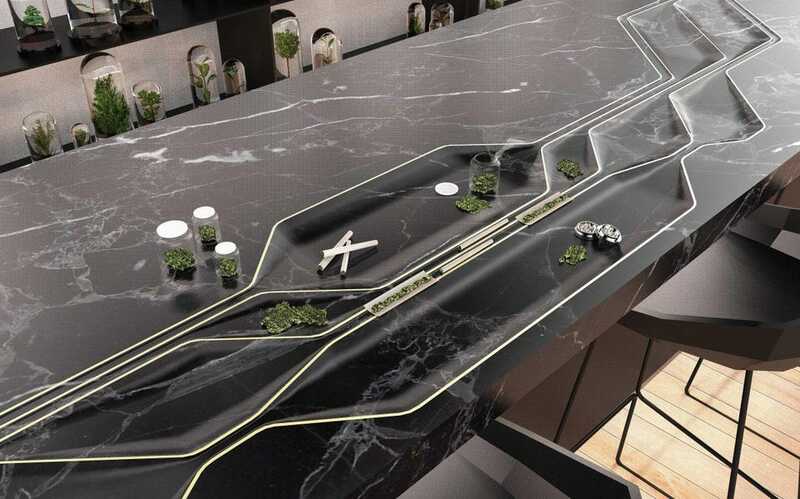 Concept of tableDESIGN BY M-RAD INC. The lounge, MOTA—which if, like me, you didn’t know is a Spanish slang term for marijuana (at least one dispensary out there has ascribed the words Medicine Of The Angels to the letters, but the term doesn’t have its origins as an acronym)—will complement the restaurant which will prepare cannabis-infused menu items and have a U-shaped bar designed specifically for cannabis tastings. It will also have fully transparent windows into the kitchen so guests can see the food being prepared. Sound-proof rooms are also available for private meetings and the Flower Room is a designated smoking area. MOTA Cafe renderingDESIGN BY M-RAD, INC.